What's in a brand? Well, quite a lot for some people – and it's not always positive. I can't think how else can you explain the trend among brewers towards beers that don't have their real names on – instead they either have a stealth brand, or in some cases no brand at all. 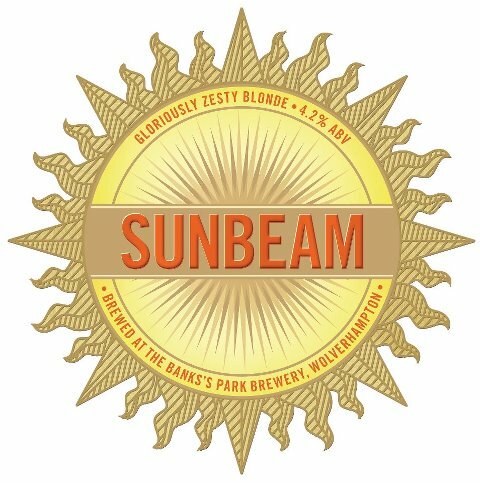 So yesterday when I came across some rather nice new-to-me beers at the European Beer Bloggers Conference – a fruity golden ale called Sunbeam, and a couple of single-hop beers, one using Polish Marynka and the other English Sovereign – I was intrigued because it wasn't obvious who brewed them. They were on the table of conference sponsor Marston's, but the Marston's guys only referred to them coming from Wolverhampton – eventually I spotted "Banks's" on the clip, but in tiny, tiny print. 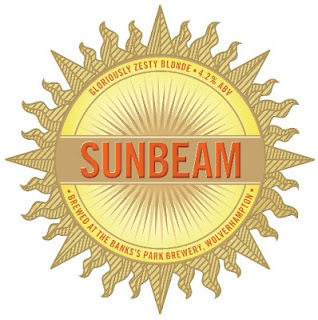 I'm no branding expert, but it did make me think some more about the subject – especially as I saw something similar a few weeks ago, when I spotted an unfamiliar pumpclip in a Greene King pub. Of course GK uses several sub-brands, some for breweries it has bought and closed – eg. Morlands, Ridleys. Ruddles – and some simply to differentiate, such as Westgate, but this clip simply gave the beer's name (The Sorcerer) with no indication at all of its origin. Stealth beer first caught my attention several years ago at the huge Coors – or fellow conference sponsor MolsonCoors, as it now is – brewery in Golden, Colorado. In the brewery tap were glass trophy cases, and also in there was a bottle of a beer I'd never seen before: Blue Moon. Just to look at the label I'd never have known it was a Coors product. I could only guess that the aim was to reach the kind of drinkers who avoid the mega-brewers. It was also around that time that Anheuser-Busch – now AB-InBev – bought a slice of RedHook Brewery. Talking to AB people I realised that their motive was similar to Blue Moon's: if you're going to lose market share to craft beer, it's much better to lose it to your own craft beer. AB-InBev now owns several other craft breweries and sub-brands, of course. I guess the lesson is that not everything that looks new and independent actually is. On the other hand, it's also that the old names are perfectly capable of doing something new and wonderful, as with the Banks's project, which is to explore hops by brewing twelve identical beers, one a month, and flavouring each with a single different hop variety. What do you think – should Banks's and Greene King use (one of) their own brands, or would that create the wrong kind of expectations?